When your tenancy contract is nearing renewal and you begin negotiating with your landlord, it is useful to know your legal rights to avoid unknowingly being made to accept rental increases that are not enforceable. Unlike in many jurisdictions around the world where an annual rental increase is accepted due to normal inflationary trends, Dubai has defined regulations that determine whether a landlord can request an increase in the annual rental or not. The applicable law is contained in Decree No 43 of 2013 — Determining Rent Increases for Real Property in the Emirate of Dubai — and applies to all properties in Dubai, including the free zones, and all landlords, including government entities. This law establishes the mechanism to be used to establish whether a landlord is entitled to increase the annual rental and goes further to also determine the percentage increase which may be applied. The standard used in determining if a landlord may increase the rent is basically whether an existing rent falls within the “average rental for similar units”, and this is determined by a rent index established and monitored by Dubai’s Real Estate Regulatory Agency (Rera). *	No increase is allowed if the existing rent is up to 10 per cent less than the average rental for similar real property units in the same location. *	A 5 per cent increase is allowed if the rent is 11–20 per cent less than the average. *	A 10 per cent increase if the rent is 21–30 per cent less than the average. *	A 15 per cent increase if the rent is 31–40 per cent less than the average. *	A 20 per cent increase if the rent is more than 40 per cent less than the average. 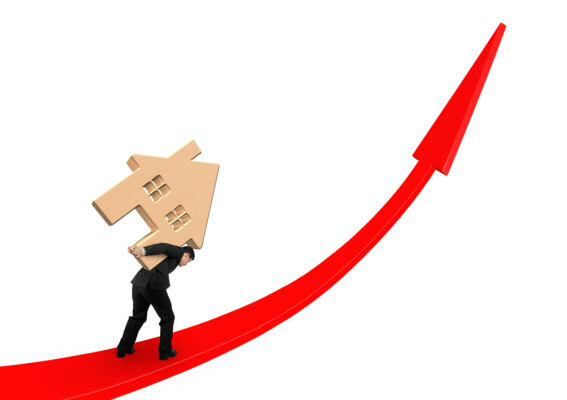 The criteria used by Rera to determine the rent index and to what extent an increase will apply include the type of property (whether it’s residential, commercial or industrial), whether it’s freehold or an apartment, the location of the property, the number of bedrooms or the size in respect of commercial or industrial property. The information used by Rera to establish the average rent is obtained from the Ejari system administered by the Dubai Land Department (DLD), through which all leases must be registered. The criteria used is very limited and both tenants and landlords may argue that it does not consider the condition of the property or any number of other factors that may impact the property’s value. Nevertheless, this is the standard determined by the said Decree. It is quite evident that the implementation of the provisions of Dubai’s rental increase law has been a positive development for tenants as it has created an objective standard against which the percentage of increase is determined and, therefore, made the negotiations between landlord and tenants far simpler. The DLD has a free rent increase calculator, based on the rent index, readily accessible on its website to check whether any increase in the annual rent applies.